This memory was posted in Indoor Fun and tagged Amara, decorating light bulbs, gummies, Star Wars on January 25, 2016 by Grandma Kc. What fun this all is! 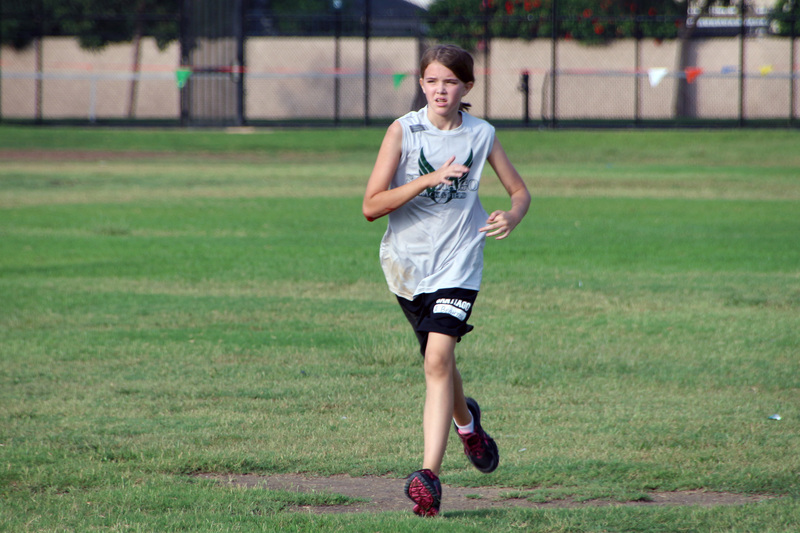 But first of all, that little gal just gets cuter and cuter! And what a loving world of support she lives in. You have covered a nice range of projects – both crafty and cooking – together over the years! The gummies look professional! 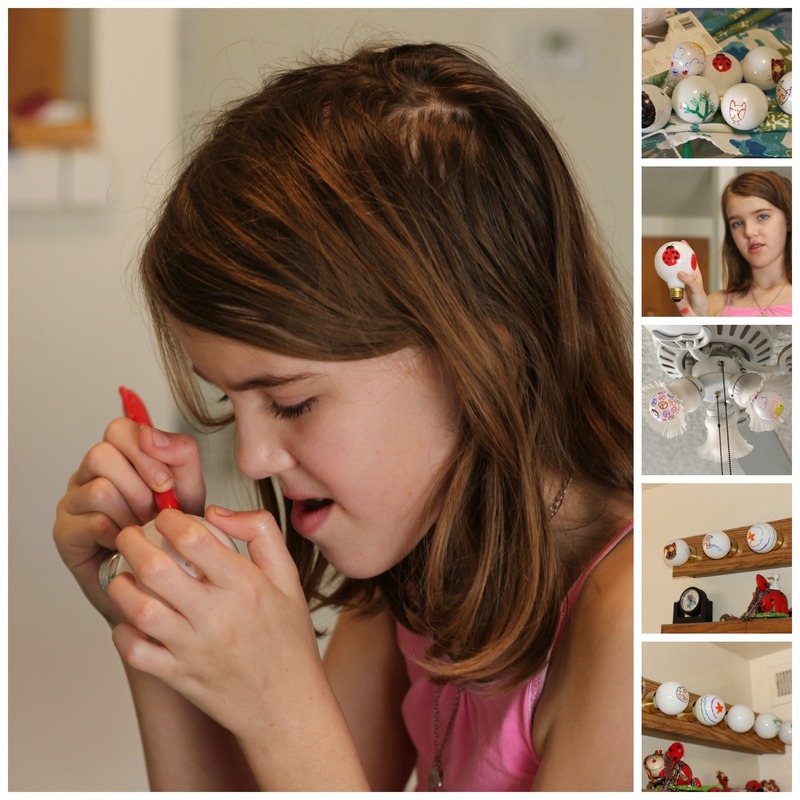 And I think that ladybug light bulb is my favorite! So, among other things, Amara lights up your life! She does light up our life! 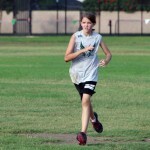 She is such a good kid and so much fun to be around, not just for us but for everyone. Life is good — I say that a lot! You are absolutely right! Every time I look at one of those light bulbs I just smile! BTW, her gummies really were good — especially the cherry ones! We can’t wait to do it again. I’m ordering gummy bear molds! Uncle Mark is very impressed that you guys made gummies! They are his favorite candy! 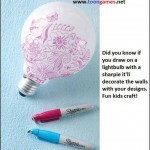 The light bulb painting is very cool too! What a great idea! Every time I hear these fun memories, I’m more excited to make the big decision of moving from Michigan to Virginia to be near our kids & grandkids! Such fun ideas! I need to order some Lego molds to make the gummies with the boys when I visit in April (no time during the visit I leave on TONIGHT). They’d surely like to decorate the light bulbs for their bedroom lamps. By now you should be in Arizona and loving life! 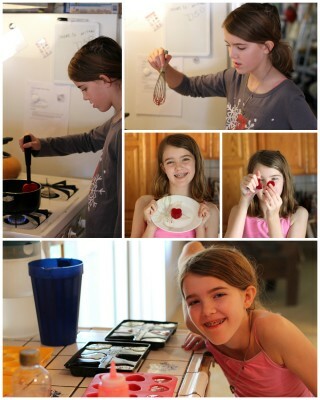 I think the boys would love making gummies but you have to be careful as they syrup is very hot. Amara burned her tongue! As for our Electricity Austerity Program it was an ugly bill many years ago that got us started and we really are pretty good about just turning out lights. I’ve learned to just walk around the house before we settle in to watch TV for the evening, It has made a huge difference. Such pleasure for both Amara and her Grandparents! You are definitely making memories. 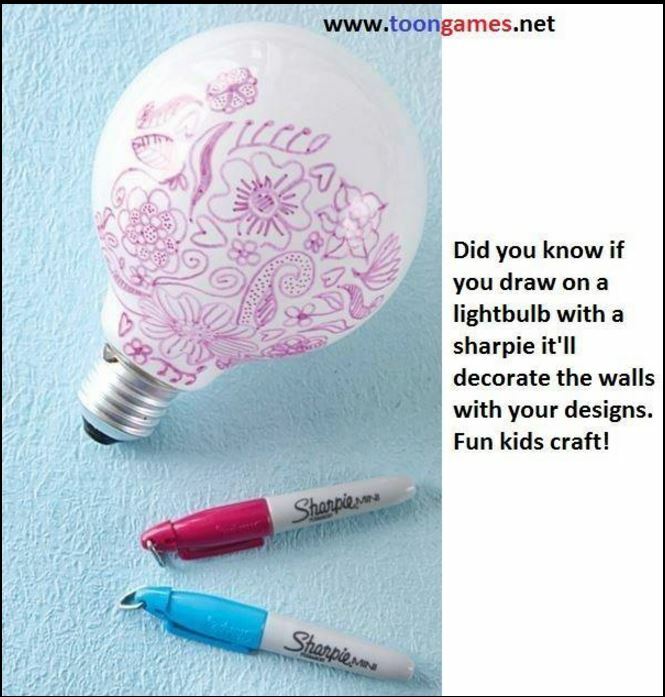 I think that the lightbulb and sharpie art is a fun craft idea. 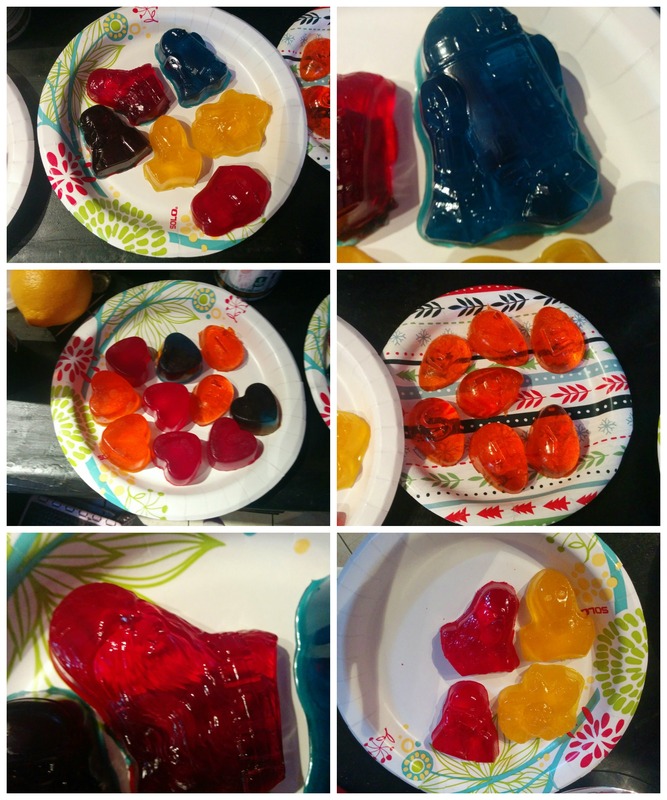 My husband loves Gummy Bears – I’m not going to tell him it would be possible for me to make them! You just need to get the grandchildren to make them for him next time they visit! All you need is Knox gelatin, Jello and Karo syrup. Oh and molds! It was a fun movie to watch but it is a bit long. I want to watch Mars Attacks! with her next! You do wonderful things with your grandchildren! I loved your last post about all the things you want for them. You are very wise to keep Sharpies out of the hands of young ones! I am not a gummy kind of girl which made this project even more fun for me. I wasn’t tempted to eat them all as I am with cookies and stuff! Stay warm my friend! I haven’t tried gummies yet, but often do jello jigglers. Love the lightbulb art. I miss regular lightbulbs. If you like gummies you really should try making them. The fresh ones really are delicious — especially the cherry! I ordered official gummy molds for next time.